Preventing your child from being sidelined due to an expired sports physical just became easier! 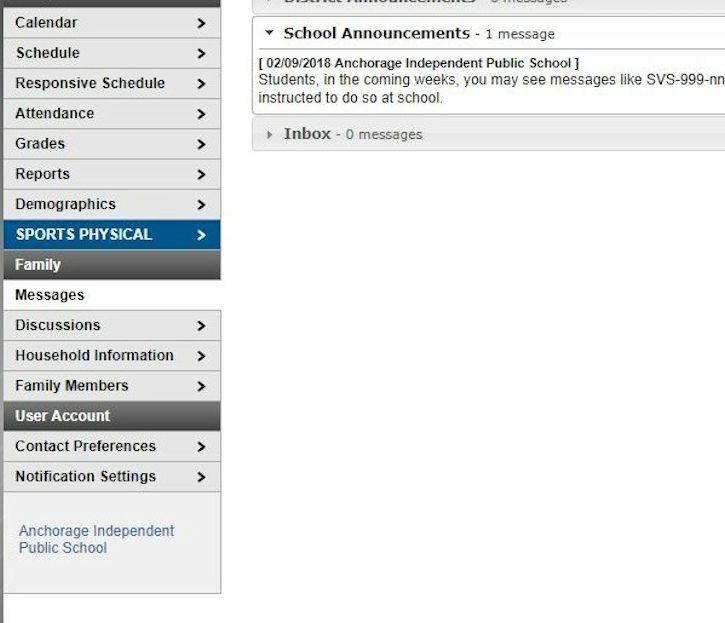 In order to access the expiration date of your child’s sports physical, just login to your Infinite Campus (IC) from your computer or phone app and navigate to the Sports Physical tab. There you will be able to view the expiration date of the most recent sports physical on file for your child. Remember, all participating athletes, no matter what grade or program, must have a KHSAA sports physical on file, along with up-to-date school health records, prior to participating in any school extracurricular athletic program. The Board approved KHSAA form is available at your doctor’s office, the school office and at the following link on our website: https://anchorage-school.org/parents/school-forms/ . Sports physicals are valid for one year from the date of examination. 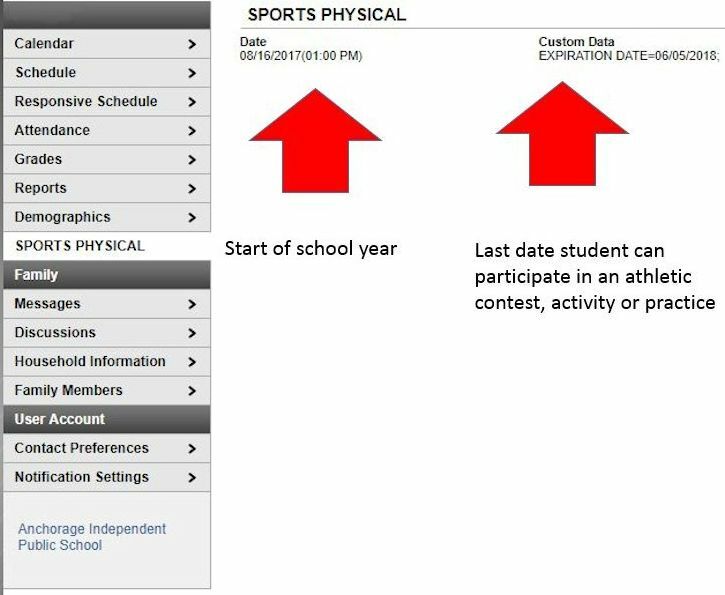 When viewing the sports physical information for your child please note that the “Date” field indicates the start date of school, not the date of your child’s sports physical. The “Expiration Date” field is the last date that your child can participate in an athletic competition, activity or practice without submission of a new sports physical. We hope that you will find being able to access this information from your computer or smartphone helpful in keeping the school record up to date. Below is a screen shot of the sports physical information accessed from a computer. Please do not hesitate to contact the school if you need assistance in logging into IC and accessing the record.